March 8, 2015 April 8, 2015 Asia C.
I have a confession to make. I’m obsessed with soup. Absolutely and utterly head over heels in love with the idea of snuggling up with a warm bowl of goodness. If I had to eat one food and one food only for the rest of my life, it would be soup. And that’s saying a lot, because I like a lot of foods. It’s warm. This is especially important during this time of year when the temperatures outside decide that they don’t really want to go above freezing for more than a day at a time. It’s versatile. There are SO many different kinds of soup. I was going to try and name them all, but then realized how futile of an idea that would be. The possibilities are endless. It’s easy. Essentials of soup making: put things in a pot. Cover them with water. Cook. Eat. It’s comforting. 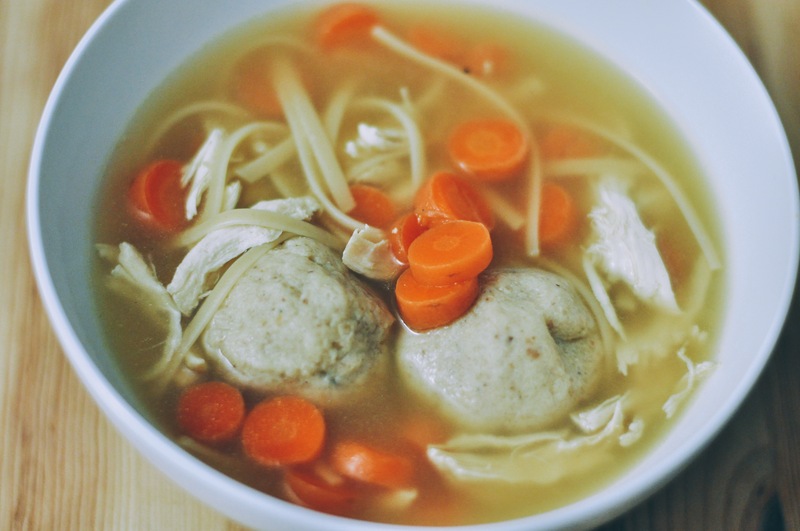 There’s a reason why chicken soup is the ultimate cure-all: it works. Trust me, I have proof. It’s good for you. I mean unless you’re making, say, lobster bisque with a gallon each of heavy cream and butter, soup is generally pretty healthy. And makes you feel full, which makes you eat less, and so on and so forth. This past week, the snow gods finally decided to bless the city of Baltimore with 6+ inches of powdery stuff that actually decided to stick to the ground this time!! So on Thursday, I woke up to a glorious text message notifying me that school was cancelled for the day. Naturally, my first thought was, “soup for breakfast!” Actually, my first thought was more along the lines of, “back to sleep,” but then when I woke up for real a few hours later I immediately went to work making a big pot of cozy, comfy, goodness. For this creation, which I will now be affectionately calling “Snow Day Soup,” I made a basic miso soup (using this AMAZING miso soup concentrate I found at a Japanese supermarket while I was home over break) and then supplemented it with all the goodies I could find in my fridge/freezer. The “basics” consisted of potatoes, onions, and some tofu. 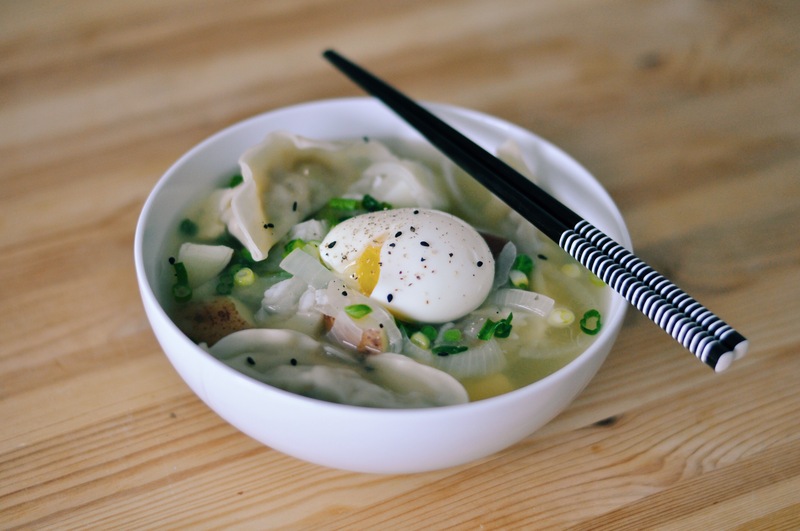 I jazzed it up with frozen chicken gyoza I remembered I had bought from Trader Joe’s a few weeks ago, some frozen peas, leftover rice, and a super soft-boiled egg to top it off. I was so happy, and then so sad when it was all gone so quickly. Well, guess it’s time to go make more soup.